You have reached my original My Rosie Outlook: From the Midwest to Texas (written 2012 - 2015). For my most current posts, click here: My Rosie Outlook: Mondays at Wild Blue Yonder. I am very excited about my new, updated My Rosie Outlook website. Go check it out! Are We Marriage Video Material? Hubby and I walked into church hand in hand that sunny fall Sunday morning. I wore a new dress and new shoes I was finally getting to wear after buying them on clearance last summer. Hubby leaned over and commented sweetly about how I looked. I laughed and we shared a few kind words back and forth. It was a beautiful day...I was at church with my man...and he thought I was pretty. Soon we would meet up with our kids in the church service and then enjoy a family lunch together. It was a good day and I was all smiles. As we walked across the church lobby, one of the associate pastors caught my eye. Being new to the church, we didn't know him and he didn't know us, but we made eye contact and I said hello. At that point, he surprised me by walking over to tell us that he was watching as we walked across the lobby. He introduced himself and then said that we looked so happy as we walked into church that it made him think we should be in a marriage video. Well no one had ever said that to us! We laughed, and went on our way, but I have to say...that moment felt really good. Now, Hubby and I have no intentions of ever being cast in a marriage video. There are plenty of days when we probably aren't a very good example to anyone. On the other hand, we don't take this marriage gig lightly. We never have. From the very beginning we agreed to make our marriage and each other a priority in our lives. We offer a strong effort every day in treating each other with love and respect. Of course...if that same pastor had seen us in our living room "discussing" something the night before, he might not have had the same thought about us. He might have actually suggested we needed to watch a marriage video. After nearly twenty-six wedded years, we don't claim to have a perfect marriage. And while we may not really be "marriage video material", I know that love and forgiveness come much easier for both of us than it did early in our marriage. Over the years our love has grown deeper and so has our resolve to fix things when they get out of whack. I am so grateful for that. That Saturday night, what started out as a normal conversation quickly escalated to a heated discussion. But after a few tense moments, we both realized it at about the same time, and we stopped it right then and there. Forgiving and moving on was more important than who was right. What could have (and might have in the past) turned into a full blown argument (that halted any solution) was quickly defused and fixed because we were both more interested in forgiving and loving each other. Of course, it's not always that easy with us. Some days or some conflicts are harder to navigate. But we are maturing in our marriage, and as our love grows deeper for each other, we are more protective of hurting each other during a disagreement. As you may know, the apostle Paul wrote about the love and respect of marriage in Ephesians. I really love the way The Voice Bible words this verse because what wife doesn't want to be loved and protected as if she were her husband's very heart? And I certainly believe that every husband wants the respect of his own wife. Endeavoring to live this verse has been a central part of our union, and I think it's a key ingredient in loving, strong, successful marriages. So while we may never make the cut in a marriage video, I believe our marriage is blessed by God and held together by our love and respect for each other. That is vital when you have those "not really marriage video material" days. And knowing that makes the days when we don't need to forgive each other all the sweeter. Are you experiencing a time of waiting? I am and it seems like I have been for quite some time. Actually, when I stop to really think about it, most of my adult life has been living in a constant state of waiting. You would think I would be better at it than I am. There are probably equivalent experiences in the "civilian world", but military families do live in a regular state of waiting. When a member of the family is active duty, there's always something coming next. Like all other military families, we spent our Air Force adventures waiting. At any given moment, we were waiting on orders...reunions...housing...phone calls...household goods shipments...promotions...connections....letters...leave time...training completion...assignments...packers...email...family visits...kisses...moving trucks...new friendships...trips home to see family...finding a church...or a hairdresser...or a school...maybe even a job. And in the back of our minds, we were always waiting for the season of life when we didn't live in a constant state of waiting anymore. Last March when we made the decision for Hubby to retire from his military career, we thought our time of waiting was finally over. The relief that flooded over us both at that moment was more than either one of us expected. It was almost like we had been holding our breath for the past 24 years and we could finally breathe normally. We scheduled our last military pack up and watched the movers drive off with all of our household goods for an unknown storage unit. We enjoyed a big send off from family, friends, and the military at Hubby's retirement ceremony, and then we took off for our next adventure in Texas. We expected to settle into our "retirement life" quickly, to purchase our "forever home", wait for our movers to arrive one last time, and then finally the waiting would be over. Isn't that a sweet picture? Turns out...that was not the picture God saw. And so...here we are...eight months later...and guess what we are doing? This has been the weirdest and hardest wait we have struggled through. It's also been the most relaxing and best one yet. No, we are not settled. We haven't purchased our "forever home". The movers have not brought us our household goods. We don't think it will be much longer, but we are still waiting. This is not at all what we expected when we made that exciting decision a year ago, which may be the biggest reason it was, by far, the hardest one. On the other hand, it has also given Hubby and I a glimpse into what real retirement will be like someday. After a slight adjustment period, we have decided "pretend retirement" isn't bad. We have really enjoyed our time together and think we will rock real retirement someday. We have most certainly delighted in the extra time we have had with our kids. It truly has been a blessed family time, making this waiting time our best one ever. For me, the secret to getting through any time of waiting is focusing on the good in the present. Each day when I get up and mark another day off the calendar, I am not only one day closer to what I am I waiting for, but I am also given another opportunity to look for the blessings in my life that day. When I focus on the gifts God has showered down on me, it takes my mind off of what I don't have and helps me see the beauty of what I do have at the moment. Of course, this isn't as easy as it sounds. Some days are just a struggle. Waiting can be mind numbing and even painful. Sometimes it feels like the end will never be in sight. Sometimes you just want to give in to the frustration. Thankfully, we never have to go through one period of waiting by ourselves. Not even once. God is always there to see us through it. He alone knows the plan and has everything in our lives under control...even when it totally feels out of control. the Eternal has inexhaustible compassion. Here they are, every morning, new! Your faithfulness, God, is as broad as the day. Have courage, for the Eternal is all that I will need. When the waiting feels too overwhelming, I think on these words. Drinking in God's love and inexhaustible compassion, I put my hope in God. Merry Christmas! I have spent this month Celebrating Christmas in so many special ways. It's our first Christmas in Texas, and despite living in transition with very few material goods, we have managed to Celebrate Christmas in our own Texas-size way! I'm sitting here in our little apartment by the glow of a beautiful Christmas tree that isn't ours, covered in special ornaments that don't belong to us. The bottom is wrapped in an old Christmas table cloth that once covered Grandma Teacher's table, and stacked upon it are brightly wrapped presents from Mom and Dad. The stockings are hung and they bear our names, but they really belong to Mom. The Nativity in our kitchen looks just like one we have, but this one is actually Sister's. The advent calendar is not the one we have used since the boys were babies, but it's a new gift from Aunt Prayer Warrior, giving us a new tradition. The little Charlie Brown nativity ornaments that sit by our Engineer's bed look exactly like the ones that have sat by his bed every single Christmas, but this little set is on loan from Cousin Christmas. She shared quite a few decorations with us this year, including some of Grandma Gem's ornaments. A few weeks ago I was feeling down because we are still in transition and all of our special memory-filled Christmas items are packed away in storage. It was Hubby's idea to get a few things from our family while home for Thanksgiving. All I had to do was ask...and our family came through for us. As Hubby said, this may become one of our favorite Christmas memories. Thank you to our loving family for spreading Christmas cheer all the way to Texas. Although this Christmas was very different from any other we have ever had, it has been very special and helped us focus more on the real Christmas. For the past two weeks, I have been sharing the stories within The Christmas Story. When I decided to focus on The Real True Christmas Story for this month, I went to the real true source - The Bible - for the complete story. Both Matthew and Luke wrote about the birth of Jesus. Interestingly, their two books really intertwine the story of Christmas. They each tell different parts of the story and we really only get the complete story by putting both of their writings together. So to wrap up this adventure of focusing on the The Christmas Story, here is the complete story -straight from the Bible - woven together from the books of Matthew and Luke. Then an angel of the Lord appeared to him, standing at the right side of the altar of incense. When Zechariah saw him, he was startled and was gripped with fear. But the angel said to him: “Do not be afraid, Zechariah; your prayer has been heard. Your wife Elizabeth will bear you a son, and you are to call him John. Meanwhile, the people were waiting for Zechariah and wondering why he stayed so long in the temple. When he came out, he could not speak to them. They realized he had seen a vision in the temple, for he kept making signs to them but remained unable to speak. When his time of service was completed, he returned home. All this took place to fulfill what the Lord had said through the prophet: “The virgin will conceive and give birth to a son, and they will call him Immanuel” (which means “God with us”). When Joseph woke up, he did what the angel of the Lord had commanded him and took Mary home as his wife. There was also a prophet, Anna, the daughter of Penuel, of the tribe of Asher. She was very old; she had lived with her husband seven years after her marriage, and then was a widow until she was eighty-four. She never left the temple but worshiped night and day, fasting and praying. Coming up to them at that very moment, she gave thanks to God and spoke about the child to all who were looking forward to the redemption of Jerusalem. His mother treasured all these things in her heart. And Jesus grew in wisdom and stature, and in favor with God and man. For my daily December postings, click The Christmas Story. Merry Christmas! A Savior is born! Happy November! Maybe it's not very original...or surprising...but I have decided to Celebrate Thanksgiving this month. It may seem an obvious choice....but honestly some days it's easier to focus on the struggles of the day rather than the blessings. Do you ever feel like that? During this season of my life, instead of just focusing my gratefulness on one special American holiday, I think a whole month is in order. Even though I haven't posted anything in November until today, I have already been Celebrating Thanksgiving this month. And I'm glad I made that decision because twelve days into the month and I really do feel lighter...more grateful...even more content. On days when panic, sadness, worry, or frustration set in over uncontrollable circumstances in our lives, I remind myself that I am Celebrating Thanksgiving...not Heartache this month. And you know what? That actually helps. You know, a couple of men from the Bible, Paul and Timothy, had their fair share of struggles. They went through some very difficult times, but they didn't let heartache stop them from caring about their friends. During a time when they were going through their own troubles, they took some time to write a letter to the holy people in Colossae. Amazingly these words were written during a time when Paul was imprisoned! Did you know that? These beautiful and encouraging words about thankfulness were written by Paul while he was sitting in prison after being arrested on false charges! Just think about that for a moment...oh what Paul must have endured...and yet he clung to the peace of Christ to rule his heart. While he was unfairly imprisoned, he wasn't feeling sorry for himself, he was concerned about his faithful brothers and sisters in Christ. So he spent his time encouraging them to be thankful...with gratitude ...giving thanks to God our Father. Reading over these words, I find myself developing a fresh resolve to dig a little deeper with my own gratefulness. My circumstances, although not exactly what I would choose, are no where near the situation of Paul. So...um...excuse me while I take some time to be thankful...with gratitude ...giving thanks to God our Father. Although I certainly did not plan it, I have been quiet on this blog for yet another month. You know how it is...sometimes life just changes...and then your plans change...and just like that I took an entire month off from blogging. Thanks for checking in. Hopefully we will chat a bit more in November. Surprisingly, journaling has never been something I was big on...or consistant with in my life. I have also started regular life journals in the past, and those fizzled as well. Truth is I'm a talker more than a writer...which is why I am still shocked that I have been somewhat consistently blogging for nearly two years. But it's also been a good experience. One of the productive things I've chosen to do in the quiet was start a prayer journal and I have found that it's something I look forward to each day. Last fall I agreed to do a little devotional study with a friend. We started reading daily from a book by Beth Moore called Whispers of Hope. In some ways it is a typical daily devotional book with a scripture reading and a devotional that goes along with the scripture lesson. The part that made this book more unique is that she also included a section after each devotional where you could write out your prayers. Now I knew that in the past I had not enjoyed writing out my prayers, so I was reluctant to do that part of the daily lesson. Reviews for the book online even complained about the prayer journaling, and my friend said she wasn't sure about doing that part of the study. But I tried it anyway. At first, I wasn't even sure how to do it. Beth had little sections for each part of praying (praise, repentance, acknowledgement, intercession, supplication for self, equipping) with a few lines for each. How was that going to work for me? I'm a talker. I usually have a lot to say...and there just wasn't much room to write it all out. Plus, I was a busy gal with lots of things to do each day. I certainly wasn't planning on spending all kinds of time on this book. I quickly decided instead of writing out complete sentences, that I would jot down key words as I prayed. I realized early on that I really like that method. It helped me to keep focused during prayer and remember what/who I wanted to lift up to the Lord. Somewhere along the way, the journaling of my prayers became a beloved part of my daily study. A few months later, I completed the book, and I soon realized that I missed writing out my prayers in that format. Now I was ready to start my prayer journal. Each day I write the day and date at the top of the page, then thumb through my Bible and find a verse praising God and I copy it word for word onto the page, adding my own little praise after it. Then, I thank Him for some of the blessings of the day. I usually write several, and pray over several more. Sometimes I focus on one specific blessing, but usually I have a pretty long list to share with God. No matter what is going on in my day to day...I am clear that I have much to thank our Lord for each and every day. Finally, I get to the request part of my prayer time....first, my concerns for "others". I have an ongoing list of people that I pray for every single day. Many on that list are dealing with health issues...others are trudging through a slew of other heartaches. I pray for these friends, family members, and even a few complete strangers as I write their names down in my little pink book. I also take some time to pray for their family and friends supporting them through their difficult times. Honestly, some days I forget someone because the list is long. Thankfully, when I forget, God doesn't. He will bring them to mind at some point and I will add them to the list as I talk with God. This is a point where I pray for our leaders as well. Once that part is complete, I move onto my own requests for the day. In the last several months, my own prayers have pretty much been the same. I have a small list of what's really important to me at this season of my life...and I talk that over with God every day. A couple items on that list, He has fulfilled quickly and sweetly and I am most appreciative. Our God is a God of blessings and love...and He has most certainly given our family a fair share of both. However...admittedly...as I thumb back through my daily writings and see the exact same thing on the list for months....months and months...I'm not going to lie, it can be discouraging and frustrating. But as soon as I admit to those feelings, I know in my heart that God doesn't just give us everything we want just because we asked Him for it. That's not how this prayer thing works. Every day I ask God for something...many somethings if I'm being totally honest. And every day He answers me. Sometimes He says yes...sometimes no. I don't know why...especially when I'm asking for something that only seems to bring honor and glory to Him (and if it makes my life easier...why not? )...but only God knows my future. I don't. He knows what is going to be best for me and my family. He knows exactly when to say no...and when to say yes. I know this in my head...but sometimes it's a little harder to know it in my heart. Especially when I am feeling quite emotional about the request. So I'm going to keep writing those requests down day after day...and wait to see what God's answer is going to be. Sometimes our Lord has told me to stop asking. And I have. This happened to me recently. I was praying for a specific blessing for Hubby. I wanted this for him so badly. I knew for it to happen it would only be through an act of God because we had already been told very clearly and precisely that it would not happen by any earthly means. I could have said, "Well...we gave it a good try, but the answer is no". Except...God has wowed me with His Almighty power before and I thought it was worth asking Him to do it again. I even asked a group of girlfriends to pray with me. Many of them agreed even though they had no idea what the blessing was or why I was asking this of God. I truly have the sweetest praying friends. I was blessed by that even before God revealed the answer to us. We all began praying, and then very quickly into the process, I received a very clear message from God for me to quit praying over it. He told me "I've got this. Leave it alone." Well...that truly filled me with both heartache and hope. I didn't want to stop praying. I wanted to continue to pray about it until the answer came...but then again...I did have hope that God was taking care of it...and that maybe He was going to grant this request. So I quit praying about it, and I felt comforted that I had friends that were praying in my place. And then we heard heartbreaking news from dear friends that their young son was very ill and fighting for his life. I immediately went back to my group of friends, and asked them to pray for him and his family instead of my request. I knew without a doubt that was what God wanted me to do. So once again, my sweet friends responded with love and prayers...this time for a family most of them didn't even know. And again I was greatly blessed by this even though I still didn't know how God was going to handle the original request. A short time later, the answer came. It was a no. I was disappointed, but my prayers were now focused on what our friends were going through. Again, I went back to my little prayer group of friends, shared the answer, and then asked them to continue to pray for our friends going through such a difficult time. Weeks went by....Hubby and I had accepted God's answer...and had moved on to other important items that were prominent in our lives at the time. We continued to focus much prayer on our friends and their son. Then...out of the blue...in a surprising Only-God like twist...God granted my request and blessed Hubby in a way that we knew was without a doubt from Him. And as I write this, I continue to give God full credit and glory for a blessing that will stay with Hubby for the rest of his life. It's truly humbling every single time I think about it. What a God moment. So in the days when I struggle with God's perfect timing...and I wish He would answer me already...I only have to look at my children or my husband to be reminded of the many many great blessings He has bestowed upon our family. Rejoice in the Lord always. I will say it again: Rejoice! Let your gentleness be evident to all. The Lord is near. Do not be anxious about anything, but in every situation, by prayer and petition, with thanksgiving, present your requests to God. My prayer journal has become a very important part of this Celebrating the Quiet time. I took the concept that Beth Moore offered in her book, and I made it my own. I choose to end each of my daily entries the same way I begin them...with praise. At the bottom of each page, I think of one very special thing that I praise God for at that moment and I write it down. It might be the beautiful day...or something someone said or did...or time spent with family...any number of wonderful blessings from God. It's really helped me to focus my prayer time on praising God during this time of Quiet. It really does. He really does. Especially in the Quiet. So Your Kid Is Off To College? Our Scientist will soon begin his senior year of college. On the very same day, our Engineer will begin his senior year of high school. I know. Trust me. I can't believe it either. I've never been that great with math...but seriously...it just doesn't add up. There's no way that many years have passed since holding those sweet little newborn babies in my new momma arms. And yet...here we are. They both tower over me now. Instead of me squatting to them...they are bending down to me. It's a fact that both amuses and saddens me. They are growing into amazing men. They are...for the most part....making choices and conducting themselves in a way very pleasing to Hubby and I. On pretty much any given day, we find something to be quite proud of when it comes to them. As I think about my goal of Celebrating School Days this month...I can't help but think about how we got here and where this is all going with our sons. Their first day of preschool...kindergarten...high school...and college are firmly planted in my forever memory. Those were days of mixed feelings: excitement and heartache. To preserve my sanity...I try not to think much about the after college days. All I can really acknowledge right now is that it is clear things are gonna change...big time. The first day of college was the most difficult one for us. That one was ALL THE FEELINGS! For our little family, it meant leaving our Scientist in a state far far away...All. By. Himself. It was a CRAZY plan. Who came up with this idea? And please tell me...who approved it? Because it was totally unreasonable and ridiculous. And yet...that's what we did. We left him there....697 miles away from us. That's over 11 hours away by car. Let me tell you, it didn't happen without lots of tears...heartache...and prayers. And you know what? It was the craziest...most ridiculous....incredibly unreasonable....horribly painful decision we made as a family. It was also the right thing to do. It was a huge blessing to our son. It wasn't always easy...he's had some difficult days at college...but it has been the best experience for him! Hubby and I have cried...cheered...argued...prayed...lectured...rolled our eyes... chuckled...coached....advised....loved...understood...misunderstood...yelled...prayed... muttered...laughed...rejoiced....and prayed with (and at) our Scientist through these past three years of college. Of course, our Engineer will continue taking college classes as the main part of his high school senior year curriculum. Having him still at home with us, but experiencing college level education is also a unique experience. It's a fine line for us to balance. As we guide and assist him in developing good study habits and practices, we are still trying to let him figure some of it out on his own. That can be exceedingly challenging as well. This parenting gig isn't easy...but it is an incredible gift of ups and downs...happiness and pain...sweet times of holding tight...and extremely tough times of letting go. So today as I Celebrate School Days, I want to send a loving shout out of encouragement to all of the parents who are sending off their brand new college freshman this month. Whether they are moving into a dorm and will be far away from home, or taking local classes and commuting from home...you are beginning a new season of life and things are changing at a rapid pace for your child and you. Hubby and I have been there. We have felt the pain and cried the tears and lived to tell this tale. Your heart will ache with this change, but you will get used to your new normal. They will too. And if it's just too much and try as you might you just can't adjust? Well then...do what we did: Give it a good three year try and then move to your child's college town! It worked for us. From the last few days of July into the first few days of September, "Back to School" days are occurring across America. So I'm thinking...why not Celebrate School Days for the month of August? As a student...momma of students...homeschooling momma...and teacher, I have many wonderful memories and a few encouraging words about this time of year. When I think of my own school days, one of the first people to come to mind is my first kindergarten teacher, Mrs. Teacher. Oh what sweet memories I cherish of her. She was a gentle, kind lady who spoke softly with an easy smile and crinkly eyes. She is well into her nineties now...but a few years ago when I got to see her again...all the feelings of a little five year old me came flooding back. How thrilled I was when she recognized me and called me by name! How cool is that? Mrs. Teacher was so delighted to see me as a grown woman with children of my own. It was a happy reunion for us both. She was definitely older, but her smiley eyes still danced with joy as she quietly asked about my life. I was so pleased to find her just as I remembered her. We had a wonderful chat and as we parted ways...she patted my hand and told me how proud she was of me. I beamed back at her because in that moment I realized how much I still craved her approval. Our forever bond was established in August 1974 on the first day of school. And it didn't matter how many students she had then...or before me...or after me...I was important to her because I was her student. It's something that will keep us connected throughout this life. It's true that you learn so many meaningful life lessons in your kindergarten year of school. For me, one of them was how to be a lifelong teacher. Mrs. Teacher showed me how a teacher loves her students...connects to them...and makes them feel treasured. And through her actions she gave me a love for school...and teachers. I had no idea in 1974 that I would grow up to teach my own children...and then...eventually classrooms of students. Mrs. Teacher did not know that she was modeling for me an amazing example that I would reflect on and try my best to emulate when I became a teacher. Of course, God knew the plan even then...and he placed me in that classroom with that loving educator at that impressionable time in my very young life to begin the preparation for my own teaching experiences to come many years later. That's just how awesome God is. What a gift to be able to look back and see the beauty of God's perfect faithfulness in preparing me in Kindergarten for all the School Days to come...as a student...a momma...and a teacher. That's something worth celebrating for sure! Please join me the rest of this month as I Celebrate School Days with you. So You Kid Is Off To College? While there are many aspects of Hubby's new found retirement that we are both enjoying...I have to say our lives aren't exactly where we want to be just yet. Hubby seems to be making a smoother transition than I am with this whole process. 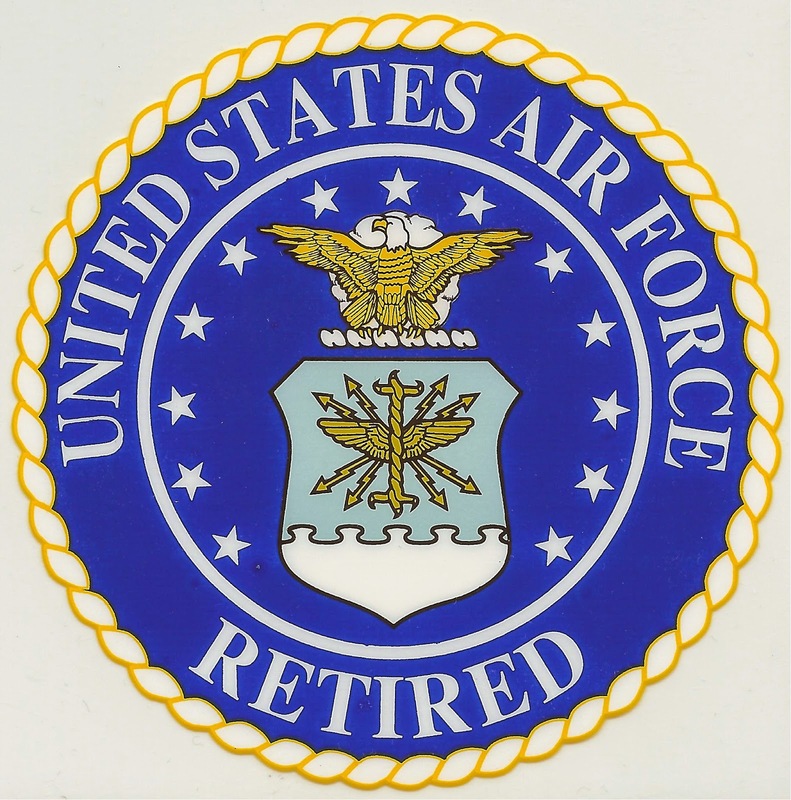 In an eye-opening twist, once Hubby and I began sharing that he would retire from the Air Force, people started offering their retirement experiences with us. People he had worked closely with for years, and friends we had known even longer, opened up about how their retirement came about or how they dealt with the days that followed. It's weird...but we never heard these stories while Hubby was on active duty status. It wasn't until we were ready to "join the club" before we were let in on how it really was. Hubby's response has truly surprised me...but evidently not those who have gone before him. It turns out his road to military retirement isn't much different from anyone else's journey. Who knew? We certainly didn't. I think there's a strange sense of comfort in learning this...which gives Hubby a relaxed, peaceful disposition in his new role. He's taking it all in stride. I have found that my experience in walking away from this lifestyle was more difficult. It was the oddest feeling because there was so much stress and uncertainty with our military life...and leaving it meant I was able to finally put that behind me. With Hubby's retirement came great relief from worries I no longer had to worry over. This is the lifestyle I have known the longest and retirement at our age is not retirement in the way most people think of it. We still have two boys to get through college...one of which is still living at home. We don't own a home...we aren't settled into a church or community full of friends and memories. Our military lifestyle has not set us up with those comforts. We are very blessed to have had all those things at one point or another along this journey, but as we finish up our "roaming" lifestyle...we don't have them all gathered into one place to enjoy in our retirement. For us, retirement is another adventure in a long list of adventures. And for me...the least adventurous of our little family...it feels like I have traded old stresses for new ones. While I do find joy and excitement in each move...there's also the whole starting over part that fills me with uncertainty...doubt...fear...and impatience. If I could just move from one place to another and jump right into a community with automatic friends, church, connections, a job, and especially a hairdresser...I would certainly enjoy these moving adventures a whole lot more! And I know without a doubt I'm not alone. I can't even tell you how many many times I have heard from other military wives in the past few months. Sometimes with tears in their eyes....or in hushed tones....or even with a wistful smile on their face...recounting their own retirement struggles. Over and over they told me how their husband's retirement was harder on them than him. Each time someone reached out to share this important confidence with me...I listened. I felt bad for them. And I'm embarrassed to admit that I pretty much waved it off. How sad for them...but I was not going to have trouble with it! I have looked forward to this for a very very long time. It was a goal we set years and years before...and by golly...we had made it over the finish line together! How could that be hard to accept? I had already planned to celebrate it with gusto! But then the days zoomed along from the middle of March until all of the sudden we were nearing the end of June and the end of the only way of life I had known as an adult. An adult life full of security...a paycheck...a home...and a community of people experiencing the exact same life. Soon we would be kicked out of the Active Duty club and the new Veteran club was not nearly as organized...or special...and quite frankly....didn't pay as well either. As I sat at Hubby's retirement ceremony...the struggle hit me with full force. As people stood to speak kind words about Hubby and his commitment to our country...I wanted to stand up and yell: "STOP!" I knew I wasn't ready for it all to be over. There were more adventures to be had. I didn't want to change everything. I didn't want to go to the civilian world where people don't always understand. I didn't want to leave the security of a world where I felt safe...and knowledgeable...and part of something good in service to our nation. As you may have guessed (or at least hoped)...I didn't jump up and scream. I did what every other military wife before me has done. I sat in my chair...smiling proudly...dabbing away the tears of happiness...sorrow...and amazing memories. I took a deep breath and drank it all in...knowing it was the last of the lasts of our military experiences. 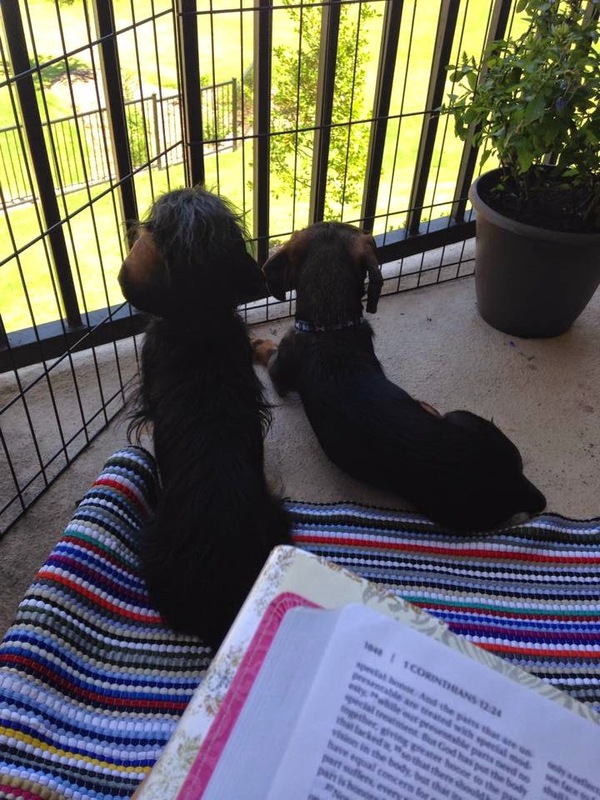 As I write this...I am sitting on a wicker love seat in our temporary home. One month into our newest adventure, we haven't figured out the next leg of our journey yet. We have time. There's no rush. We are...after all...retired. Many many of our military friends have been in our exact same place. They have reassured us this is how it is. They went through it too. It takes time to find your place in a non-military world. It can be difficult...but we will prevail. They have. We will. Knowing we aren't the first to ever experience this is somewhat comforting...but then again...I really wish it wasn't like this...that it didn't feel like this...that we weren't once again strangers in a strange land. I'm ready to settled in...grow some roots...become part of local history...know people and be known by others. Seriously...I'm ready to have someone smile and wave at me because they recognize me. It doesn't happen overnight... or even in 31 days. That is a fact I have learned from experience. These things take time. And now that Hubby is retired...that is something we seem to have in abundance. I believe deep down in my soul...with every beat of my heart...that God has this all under control...that even when I don't know The Plan, He does. Paul wrote these words to a group of people he had not even met. He sent them letters of instruction and encouragement with the hope of visiting them one day. Among his wise words were those found in Romans 15:13. Even though they were written to other people long long ago, Paul's words give me hope for our situation today. God is the God of hope. He does fill me with joy and peace when I trust in Him. And I do want to trust in Him and overflow with hope. Overflowing with hope sounds wonderful. As I wrap up Celebrating Our Air Force Adventure this month...I smile. It's been an awesome adventure. A journey I didn't think I wanted to take in the beginning...but now...I'm oh so very grateful to have been allowed to experience it. I'm thankful that God gifted us with this Amazing Air Force Adventure...and while I may struggle just a little as I wait on God's plan...I do trust in Him...and I'm hopeful for what's to come.